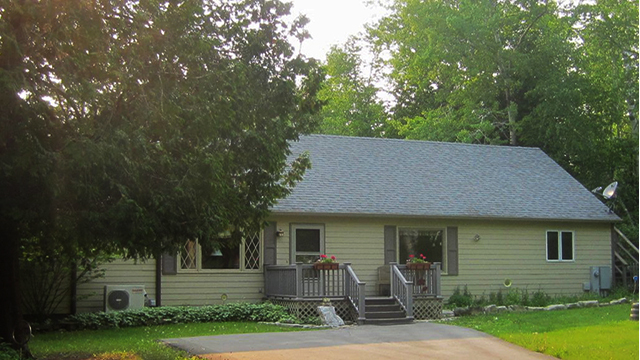 Birch Haven is a 3BD 2BA home located on the edge of the village of Ellison Bay. Spacious open concept kitchen and dining room await your culinary favorites. 1 king, 1 queen and 2 singles provide a peaceful sleep. Accommodates six comfortably. Large back deck and fire pit on private back yard. Gas and charcoal grills provided. Pets allowed upon approval. Discover all that Ellison Bay has to offer. Options for eating out vary from the charming Wickman House, experience a Fish Boil at the Viking Grill, a lovely dinner at the Fireside Restaurant or a sandwich and beer at the Mink River Basin. Have a free tasting at Island Orchard Cider 1/8 mile from the house. Dont miss the Pioneer Store, a must see! Birch Haven is a short ride to all the natural landscapes of Northern Door. Check out Newport State Park, Ellison Bay Bluff County Park and Natural Area and the Ellison Bay Public Beach. Contact JR Vacation Rentals at www.jrvacationrentals.com for more info. Rates: PS $1525/wk, $227-$248/nite, 3 nite min. OS $1086/wk, $152-$176/nite, 3 nite min.